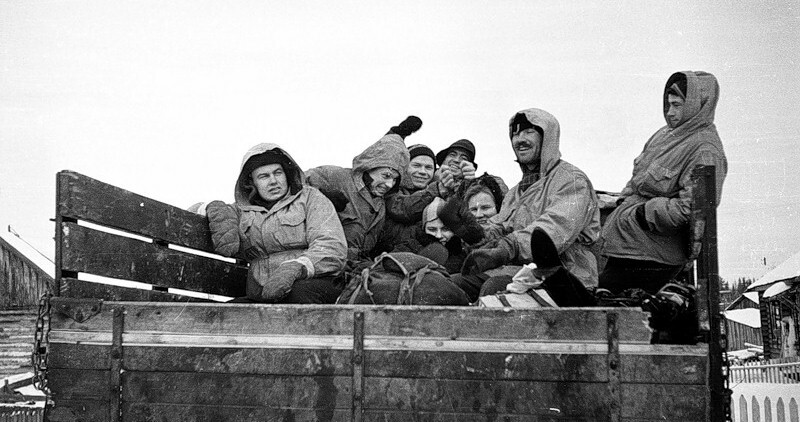 On February 20th 1959 a rescue group headed in to the northern Ural Mountains, in search of a university trekking group led by Igor Dyatlov that had gone missing on the way to Mount Otorten. In the local Mansi language, Otorten literally means “Don’t Go There Mountain”. The slope that the group had disappeared on, Kholat Syakhl, translates no less ominously to “Dead Mountain”. The mountains were so named for their harsh terrain and weather conditions, which made them poor places for finding game – in the Mansi language ‘dead’ connotes ‘meagre’ or ‘scarce’. 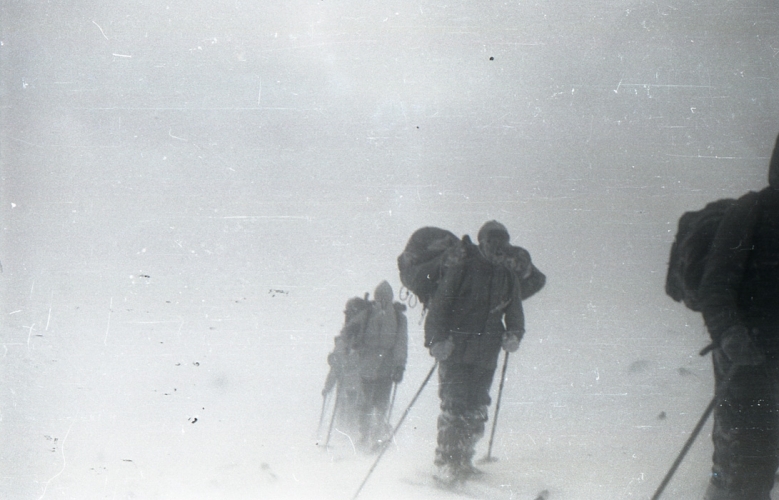 It would be difficult to survive long in the blistering cold and severe terrain, and rescuers feared the worst. The area around the Urals had seen heavy development of industrial and military facilities during the 1940s, when the south of the USSR was under threat from Nazi forces, but the mountains themselves remained largely untouched. In the winter, when the group was travelling, the peaks forme an intimidating ridge of rock and snow. 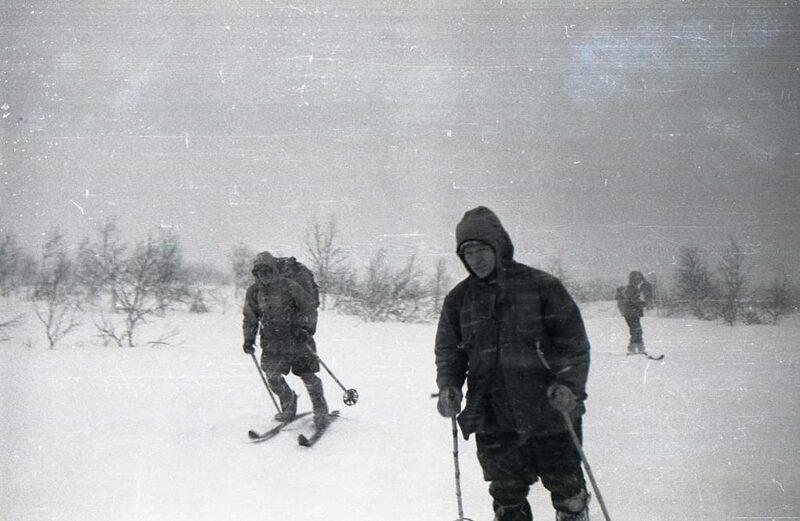 The howling winds along the snowy eastern slope that the Dyatlov group had traversed make it a particularly dangerous trek. 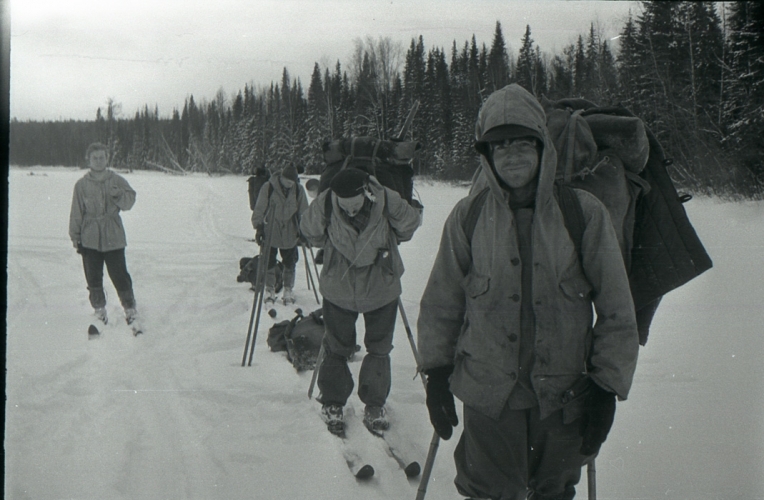 Though all members of the group were experienced and adept, there was no way to prepare for what they encountered on those slopes. The group of nine men and women from the Ural Polytechnic Institute had headed out on a ski trek on the 27th of January. They had been scheduled to radio their sports club on February 12th, the expected date of their arrival. With no means of contact between their departure and their destination, unplanned delays in such expeditions were to be expected. Still, after over a week with no word, the relatives of the trekkers had grown concerned. Volunteer rescuers were joined by military and police reinforcements as the search dragged on. As days went by with no sign of the group their optimism dwindled. On the sixth day of searching they spotted a damaged tent. What they found on closer investigation was more baffling and horrifying than anything they could have imagined. When rescuers examined the collapsed tent they were perplexed and disturbed to see that it had been cut open from the inside. Temperatures on the mountain are generally well below zero and can drop as low as -30 degrees Celsius. That a group of seasoned hikers had voluntarily cut open and fled their tent in such frigid weather pointed to very dire circumstances. Things only got stranger as the investigation continued. Searchers discovered several sets of still-visible footprints in the snow, leading away from the tent towards the nearby woods. Bizarrely, the tracks seemed to have been made by people who were barefoot, in socks, or wearing only one shoe. Whatever had happened at the tent, they clearly hadn’t been able to gather even the most basic protection against the elements. Under a tall cedar tree at the edge of the woods the rescuers found the first bodies. They were those of Yuri Nikolaievich Doroshenko and Yuri Alexeievich Krivonischenko, barefoot and dressed only in underwear. They had apparently lived long enough to make a small fire, and broken branches on the cedar suggested that they had attempted to climb the tree. 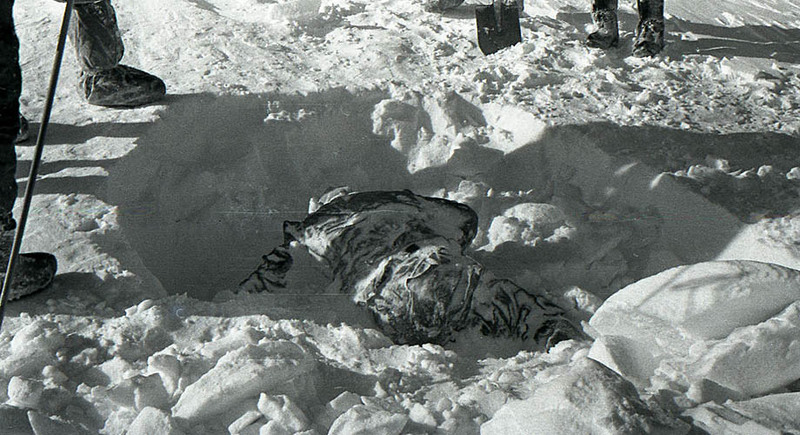 A closer search of the area revealed the remains of Dyatlov, Zinaida Alekseevna Kolmogorova, and Rustem Vladimirovich Slobodin, all frozen in poses indicating they had died struggling to return to the tent. The remaining four bodies were not found for another two months. Their discovery would deepen the mystery of this already strange tragedy. In early May, the bodies of Lyudmila Alexandrovna Dubinina , Alexander Sergeievich Kolevatov, Nicolai Vladimirovich Thibeaux-Brignolles, and Semyon Alekseevich Zolotariov were found 75 metres deeper into the forest. While an examination of the first five bodies had led doctors to conclude they had no fatal injuries and had been killed by hypothermia; Dubina, Zolotariov, and Thibeaux-Brignolles were all found to have suffered major injuries. Dubina and Zolotariov both had extensive damage to their chests, while Thibeaux-Brignolles had suffered a major skull fracture. In addition, Dubina was discovered with her eyes, tongue, and lips missing, though these injuries are not thought to have contributed to her death. Though the fatal internal fractures looked to have been caused by extremely high force – similar to that of a car crash – there was no external trauma. Investigators also found traces of radiation on the clothing of the victims. Faced with facts that seemed to confound any reasonable explanation, the official investigation attributed the incident to an “unknown compelling force”. There has never been a definitive answer as to what killed the nine members of the Dyatlov expedition. Initial speculation turned suspicions towards the indigenous Mansi people, who inhabited the area, but this notion was quickly dispelled. There was no reason, apart from prejudice, to think that the Mansi would venture onto the mountain slope in the night just to attack a group of hikers. There were no visible signs of struggle, nor any tracks besides those of the hikers. Furthermore, forensic investigation ruled that the fatal injuries could not have been caused by other humans due to the force that would have been required, as well as the lack of soft tissue damage. It seemed instead as though the injured bodies had been subjected to high pressure. Another common hypothesis is that the group was killed in an avalanche. While this would seem to be a fairly likely explanation, there are a number of factors which don’t quite line up. The area that the hikers were discovered in was not prone to avalanches, and the experienced group likely would have been cautious of any area that was. Additionally, there were no signs of other destruction or debris in the area, aside from the damaged campsite. The tent seemed to have been collapsed laterally, rather than the horizontal collapse that would be expected in the event of an avalanche. The snow around the campsite was still undisturbed enough that the rescuers were able to see the footprints of the fleeing group, and the bodies were discovered under a relatively thin layer of snow. Evidence would then seem to rule out any avalanche following normal geological patterns. From there, the theories only get weirder. One popular explanation points to mysterious military tests thought to have been conducted in the area. It is alleged that the Russian military had been testing parachute mines in the Urals around the time of the incident. Reports of seeing glowing orbs in the sky over Kholat Syakhl may point to this. Parachute mines are dropped from above and detonate several meters above ground. They are known to cause injuries similar to those endured by three of the hikers – high pressure fractures with little external trauma. The radioactive traces on the clothing of the victims may also support this hypothesis. With the chronology of events uncertain, however, it is difficult to explain definitively why some of the group had crushing injuries and others simply died from the cold. A more recent attempt at a natural explanation points to the unusual phenomenon known as infrasound. Infrasound refers to sonic frequencies that are lower than the range of human hearing. Though we can’t hear them, these frequencies are thought to have a real and sometimes drastic response on the listener’s state of mind. Controlled studies have shown that people exposed to infrasound felt fear, panic, depression, and chills. Author Donnie Eichar hypothesizes that the area the Dyatlov group were hiking in has geological features capable of creating a vortex which would produce such frequencies under certain wind conditions. 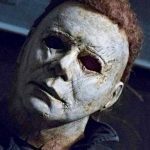 He speculates that it was an infrasonic event that caused the hikers to panic, fleeing their tent and running into the woods. However, this explanation leaves open the question of the internal injuries and the radiation. 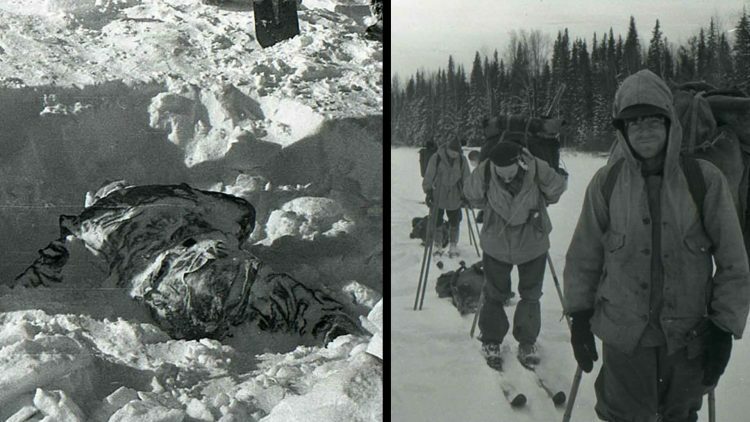 The Dyatlov Pass incident remains as much a mystery today as ever. It seems to elude every natural explanation, opening the door to the bizarre and the supernatural. There have been theories put forth about the involvement of aliens, ghosts, and the Russian Yeti. The area was closed by authorities for three years after the tragedy. In the years since there have been many amateur and scientific expeditions through the pass, with no known repetition of the strange events that occurred that night in 1959. Today tour companies advertise the trail’s mysterious past, attracting not only hikers but those who wish to retrace the steps of the doomed group in hopes of unravelling the decade’s old secret. Whatever mysteries lurk in the remote depths of the mountains, they have ample space and time to hide.